^ David Hiley, Western Plainchant pp. 484-5. ^ Willi Apel, 额我略圣咏 p. 34. Apel, Willi. Gregorian Chant. Bloomington, IN: Indiana University Press. 1990. ISBN 0-253-20601-4. Crocker, Richard. The Early Medieval Sequence. University of California Press. 1977. ISBN 0-520-02847-3. Hiley, David. Western Plainchant: A Handbook. Clarendon Press. 1995. ISBN 0-19-816572-2. Hoppin, Richard, ed. 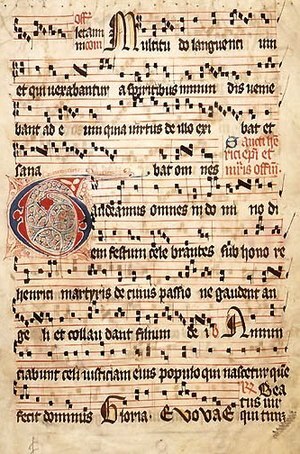 Anthology of Medieval Music. W. W. Norton & Company. 1978. ISBN 0-393-09080-9. Hoppin, Richard. Medieval Music. W. W. Norton & Company. 1978. ISBN 0-393-09090-6. Le Mee, Catherine. 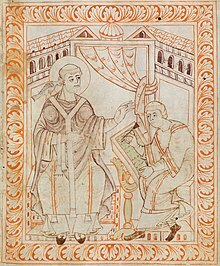 Chant: The Origins, Form, Practice, and Healing Power of Gregorian Chant. Harmony. 1994. ISBN 0-517-70037-9. McKinnon, James (编). Antiquity and the Middle Ages. Prentice Hall. 1990. ISBN 0-13-036153-4. Neuls-Bates, Carol, ed. Women in Music. Boston: Northeastern University Press. 1996. ISBN 1-55553-240-3. Parrish, Carl. A Treasury of Early Music. Mineola, NY: Dover Publications, Inc. 1986. ISBN 0-486-41088-9. Robinson, Ray (编). Choral Music. W.W. Norton & Co. 1978. ISBN 0-393-09062-0. Wilson, David. Music of the Middle Ages. Schirmer Books. 1990. ISBN 0-02-872951-X.